Manly chair Scott Penn has dismissed suggestions the Sea Eagles could be relocated. Picture: Tim Hunter. MANLY chair Scott Penn insists his club's important geographical positioning means it can't be a relocation candidate as the NRL continues to grapple with the possibility of future expansion. The debate continues with Western Australia's rugby league boss John Sackson vowing Perth would embrace any team relocated to the city, while Wests Tigers veteran Benji Marshall said his club's fan base was too big for it to be moved on. Those views were aired as NRL chief executive Todd Greenberg continues a study on the future footprint of the game. Greenberg this week questioned if there's enough talent for 18 teams but suggested growth could still come in Perth and through a second Brisbane side regardless for the next TV rights deal in 2023. It was also reported the NRL was seeking the power to force clubs to move if they needed financial assistance, as part of ongoing negotiations over perpetual license agreements. But Manly are adamant their future shouldn't be questioned, given they're the only club between Sydney and Newcastle plus there is confidence crowds will be boosted by coach Des Hasler's return. "That's always been our heartland. The fact is if we ever walked away from that there would be no one to replace us," Penn said. "We've got over a million people in our catchment area and we're the only team across any code in that district. I can't see any justification for doing anything but supporting and encouraging us to grow our footprint." Cronulla and Wests Tigers are traditionally the other two clubs mentioned as clubs most likely to be moved. 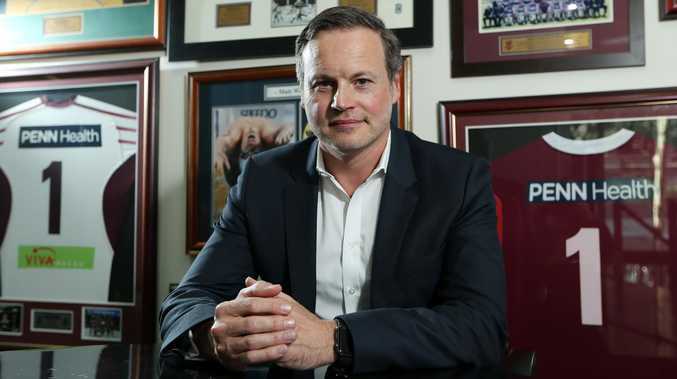 But Sharks chairman Dino Mezzatesta is confident his club's financial future is secure for now with a $40 million deal to develop their Woolooware base, while the Wests Tigers also turned a profit for the first time in their merged history last year. "I feel like we've got too much of a membership following in Sydney, we always get good crowds to our games," Marshall said. "I don't think it'll be us. I would be shattered. To move a club away from their fan base ... I think adding more teams is a better idea, not breaking the hearts of fans." If the NRL does add teams Marshall said a second New Zealand franchise on the South Island or in Wellington shouldn't be discounted. Meanwhile, WA officials say participation numbers in the state rose by 16.7 per cent last year, to the point where the state now only has around 100 fewer registered players than Victoria. Sackson said any brand would be welcomed in a state which has seen success across multiple codes. "If the commission and the game saw feasible in terms of a possible relocation of a team to Perth, I would be extremely optimistic the team would be very well embraced," he said.